The John Blackwell Yamaha Mallet Multitrack Drum Kit is part of the Drum Masters series where you can pick out a la carte kits and grooves that work with Sonic Reality’s Infinite Player* plugin and build one of the most powerful virtual drum collections ever! This product is a multi-sampled Yamaha® Jazz Birch Tom Set made to be played from Sonic Reality’s Infinite Player. It was recorded at Dungeon Studios in Miami with R&B/Fusion/Pop/Hip Hop drummer John Blackwell. John doesn t normally play this kit but engineer Mark Hornsby thought it might be fun to mix things up and see what John would do with a jazz kit. This pack is a bonus set of toms that were played with Mallets. Kit Info: This is one of the kits recorded at Sonic Reality's John Blackwell sampling session in Miami. 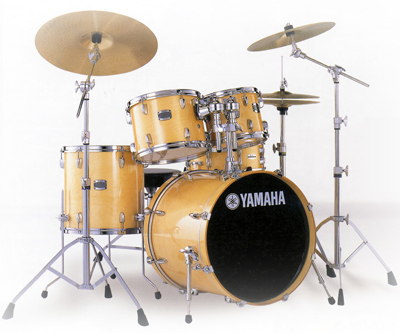 This five-piece Yamaha birch kit features smaller drums than the other kits recorded at this session, providing a notable resonance and sonic hipness. The alternate stick type used for this kit, a timpani mallet, takes particular advantage of the fullness of these drums. Yamaha Kick Drum: 20" x 16"
Sabian 2 Crash Cymbals 19" 20"
Discrete Microphone Channels You Can Mix! Drum Masters Multitrack Drums put you in control of the mix as if you had the original multitrack master tapes in your hands! An accurate simulation of classic drum sounds allows you to create your own music with rare flavors of sound that were previously only a luxury to very few. This is ultimate production power inside your computer! Drum Masters kits can be combined with authentic played audio grooves from the same session to create the most realistic simulation of a live multi-track drum session of any drum plug-in today. • GM and iMap Drum Maps: Both General Midi and Sonic Reality’s award-winning iMap™ drum layouts for the ultimate in compatibility and expressive realism when creating drum tracks. • Left and Right Hand Alternate Hits! Drum Masters iMap kits have left and right stick alternate hits on separate keys for avoiding machine gun effect and simulating a drummer’s natural alternating two hand playing. • Uses the Infinite Player Software: All Drum Masters Kits and Grooves are played from Sonic Reality’s Infinite Player* virtual instrument software powered by Kontakt™ which works stand alone for the Mac and PC and as a plug-in for major DAWS like ProTools, Cubase, Logic, Sonar, Digital Performer and more. I-MAP™ is a proprietary MIDI note mapping/drum kit layout scheme developed by Sonic Reality that facilitates improved live performance of drum kits via MIDI keyboard. I-MAP places drums in their most flexible and intuitive position, allowing each of the fingers on both hands independent and coordinated control over the sampled kit. With little practice, it is possible to lay down complete drum grooves in a single take that have incredible feel and groove. 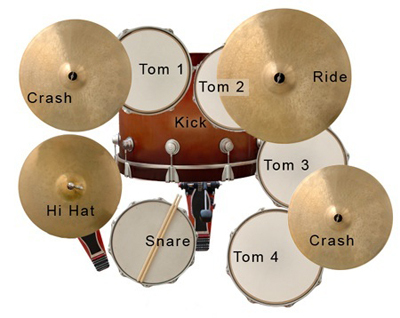 I-Map has left and right stick positions per drum as well as a variety of positions from center to edge to rim. It includes additional performance articulations you don’t often get from other drum products such as left and right keys for snare rolls, separate ghost notes, hat foot open, chokes, crashing rides and more. Drum Masters is part of the Studio ProFiles Series. Sonic Reality’s Studio ProFiles series is focused on capturing the authentic sound of signature music styles, landmark studios, rare recording equipment, unique musical instruments and the unique sonic flavors of legendary producers, engineers, drummers and other musicians. While the Studio ProFiles series offers sound collections in a variety of formats such as BFD, Drum Core, Stylus RMX, Reason, SampleTank, Rex, Apple Loops and Wave, the main all-inclusive format for the Studio ProFiles series is SR’s own plug-in called “Infinite Player” which is powered by Native Instruments’ Kontakt. Drum Masters Kits and Grooves are played from the Infinite Player software which works stand alone for the Mac and PC or as a plug-in for all major DAW/Sequencers. It is a high resolution full-featured sample engine with disc streaming for playing larger sized instruments. This plug-in technology offers more discrete control of the mixing, envelopes and other parameters than you normally find in a dedicated drum plug-in. With the Infinite Player software there is no need to own Kontakt or any other sampler just to play Drum Masters sounds. As the name implies it is infinitely expandable with more downloadable sounds in the “Infinite Player” format. Grooves can be found under downloadable “Loop Packs” and kits can be found under downloadable “Instruments”. System & Product Use Requirements: Infinite Player software*, Mac or PC computer, 1.5+ GHz processor, minimum of 2GB RAM, Firewire, Sata or fast bus Hard Drive, ASIO compatible audio interface, Midi Interface and Midi Controller. * Note: The Infinite Player must be purchased separately to use this product. Click here to download Infinite Player. 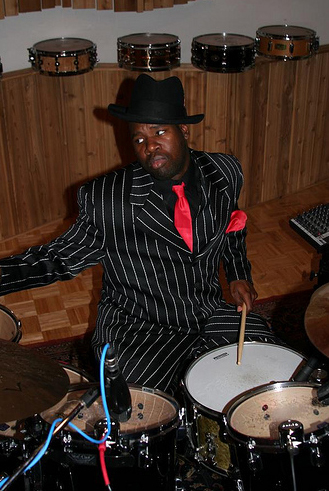 All mention of John Blackwell, Yamaha, and Sabian are for reference only. No official affiliation implied. Kontakt is a registred trademark of Native Instruments. All other trademarks are the property of their respective owners.